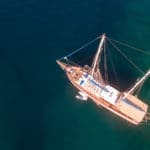 ﻿What's The Difference Between a Gulet Cruise and Gulet Charter? Both terms have a few common denominators. A gulet cruise and a gulet charter both offer holiday styles called blue cruises which take place in the Eastern Mediterranean on boats called gulets or gulllets or goulettes. Other terms in the respective regions, used for boats of similar types are gulet ketch, caicco, kaiki, and so on. 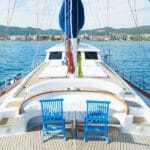 Many travelers have gotten to known gulet cruises as shared cruises also called cabin charters. This is where a traveller can charter only the cabin on board a gulet. Generally a couple or two passengers may book one double cabin and cruise with other travelers from different parts of the globe. The trip includes just about everything except for the soft drinks and alcoholic beverages, as well as the airport transfers. Pretty much all else such as meals are included in the price. These cabin charter blue cruises begin in April and run until the mid or end of October. Many travelers who decide to holiday in Turkey – begin with sightseeing land tours in Istanbul, travel to other historic places of interest and then continue their vacation with a blue voyage. When blue voyages first began a few decades ago, they were operated as cabin charters in the beautiful Eastern Mediterranea. 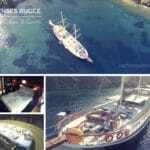 In recent years, gulets and the cruise holidays they offer are chartered privately and also called gulet charters. 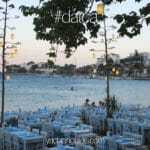 A gulet charter is a private holiday. Guests put together their own groups. The trip is fully crewed and not shared with anyone else. While some may think that hiring a private gulet may be expensive – this is not always so – particularly with the larger sized gulets. The more passengers there are the easier and more cost effective it is to share all the expenses. Unlike shared gulet cruises, private gulet yacht charters do not include the menus – however can be quoted inclusive – depending on the traveler’s choice. 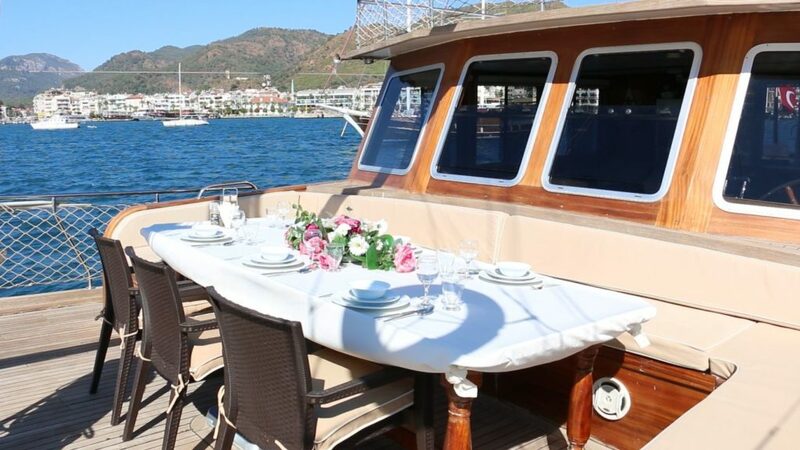 The benefit with private gulet charter holidays compared to a motor yacht charter is that the fuel is included up to 4 hours of cruising per day (with the exception of a few motor yachts). This makes a very big difference in overall charter costs. However with all the destination choices, most gulets will not even cruise that long a period so that guests can enjoy the sights and activities for longer periods of time during the holidays. So there you have it. A gulet cruise can be shared or private – whereas a gulet charter is solely a private charter booking. Gulet Cruise versus Gulet Charter. A few decades ago when Blue Cruises just began it was very popular to rent a cabin on a gulet. The same as when you make a hotel reservation. You book a cabin on a gulet but you have no idea who you gonna be stuck up with for the rest of your holiday, but this was also the charming part of it. I mean, just think of it, 1 week or longer with 12 complete strangers, from all over the globe on a gulet, no better way to become cosmopolitan. Most of the people who rent a cabin, first go a couple of days sightseeing in Istanbul, which I highly recommend. This city has the ‘ WOW’ factor, that will sweep you off your feet! A gulet charter is the ultimate feeling of freedom and luxury! Go where you want to go, swim where you want to swim, eat whenever you want, no boundaries no limits…limitless….just you and your gulet. Difficult to make a choice? Just contact us and we will help you.